Optimized for 650 x 36-41b tires with clearance and eyelets for fenders and braze-ons for Paul Racer or MAFAC brakes. Imperial fork blades and low french style rake. 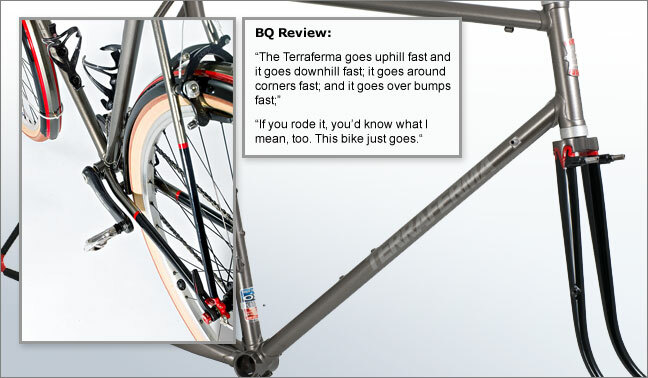 "the Terraferma is the first bike I have ridden that clearly performed better than my Alex Singer".